Ellena Ripley is a bookshop owner from a rural town in the south of England – or so she thinks. But lately, she has a growing sense that life is not as it seems. At night, she dreams of a serene man who appears to be trying to tell her something; In the day, she can't shake a feeling of expectation. But of what? The book is actually in my favourite list. I like it a lot. It's totally different and even if it has a little similarity with some other books, I still thinks the book tells magic interestingly. I never read anything about goddess before, well, I think so. What made it even more interesting is they can appear like any other cute animals, like cats and dogs! There's also something reincarnation that I found so cool about it which made me so happy about it. That being said, the plot is intriguing and very well-developed. I like all the characters especially Ellena and Hector. There was very few since I read a hero character named Hector, but it's cool. I enjoyed the time I read this. However, there are a few times I felt lost and to repeat reading the whole pages. I felt like I left out an important part, but I dont know what it is. However, I can forgive it because I like the story. Please give a chance reading this book and I think you too will feel the same. A.F. Firebird is the alter ego of a sociologist/psychologist turned web developer from the UK. While A.F. Firebird has worked in several fields her primary focus is the exploration of six virtues: appreciation, forgiveness, compassion, humility, understanding and valour. 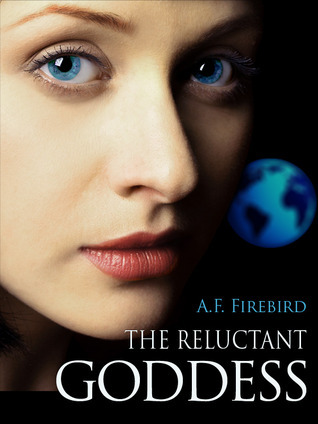 Her first novel, The Reluctant Goddess, numerous short stories and children’s books, all investigate aspects of these virtues.